She walked proudly toward me. Her confidence startled me, and I stepped back. Her piercing blue eyes peered directly into mine, and she displayed no shyness or fear. Like my other characters that I’ve interviewed, Moon Blood appeared to be as curious about me as I was of her. We were meeting in a small clearing in the midst of a forest on the west side of her master and sire Kane’s Tuscany wine estate. I was thankful for the spring-like weather. I squatted down as she approached, and she immediately rubbed her head under my arm forcing me to scratch her head and ears. Her long, shaggy white hair felt like silk under my fingers, and she leaned into my long nails giving her head a thorough massage. Sitting back on her haunches, her thoughts filled my mind. You made me independent but loyal, curious and brave but protective of my loved ones. I’m not afraid to challenge my master when I think it’s right. Did you model my character after yourself? Perhaps that is because we are one. We are inside each other’s heads. She dropped down and relaxed, much like she appears in the image above. Go ahead. Kane is my maker, my savior. He is and will always be utmost in my mind to protect. Because he has gathered an extended family now, that love and loyalty extends to them. Kane is my father, my family. They are family. She scratched an ear, looked into the distance, her eyes and hearing ever-alert, and then snorted and relaxed. Enzo is my protector. His goal is to always keep me safe. I am in love with him and would make him my mate if I could. He too is family. I would die to protect any one of my family. Is there any other way to love? I sat in awe of her. She and Snow Blood are both the embodiment of the message in all my books. Unconditional love. She cocked her head from side to side and then panted. You ask questions for which you already have the answer. She pulled herself closer and placed her large head on one of my knees. I am the female version of him, am I not? Except, he is curious where I am always questioning. He asks for explanations from his master and family. I always “ask” why. It’s a minor difference. His is always from curiosity. Mine is more of a challenge. I tend to be disobedient at times, only because I am independent and prideful, but neither ever outweigh my loyalty to my family. Perhaps we will all suffer the true death fighting to protect each other. That has always been the threat. I will stand unafraid with those I love. What more can I do? I reached down and wrapped my arms around her and held her head close to me. When I released her, she alerted, leaped up, whirled around, and sprinted to the trees where Enzo waited for her. He rarely allowed himself to be very far from her, and today was no exception. I thought to myself that of all the beloved characters in Kane’s coven, these were the two most noble. Read Moon Blood, the First Blood Son Series (1-4), starting with Book 1, found on Amazon. Book 5 is formulating in my mind as I write this. Last week I talked about building a new character for my Snow Blood Series. His name is Mathias, a character from my heart. For those of you who know me, no explanation is needed. For those who don't, this book is dedicated to Aramis, my winged Friesian angel, who will forever live in my heart. I wanted to share a few excerpts from Snow Blood Season 4 for your comments! I hope you enjoy these excerpts and that they piques your interest if you haven't read this installment. But, consider this, why has Mathias appeared? Why is he protecting Seth? What new evil could want to harm Seth, Snow Blood, and his family? She was finally mine, in body and soulless soul, bound together through eternity. Nova pressed against me. Snowflakes fell across her salt and pepper coat and glistened like small diamonds on her fur. Shadows of prey lurked in the surrounding darkness as we padded home through the forest. I would have wanted the true death if she had failed to return my love. Too caught up in the afterglow of our mating, I missed the tell-tale signs Nova instantly sensed. I turned and ran faster to catch Kane with Scrawny behind me. The three of us pulled up short about a quarter of a mile west of the estate. I recognized the field where Brogio confronted Artemis and Zeus. Zeus’ presence there had burned the field. No grass would ever grow there again. The field had become a landmark of sorts to mark our war with the gods. That all seemed long ago, when in reality it had only been a little more than six months. I gawked at the winged horse standing in the middle of the field. He was a magnificent black horse with long, flowing mane and tail. His hoofs were covered in black feathers, and his black wings spanned what appeared to be ten or more feet each when he spread them out to his side when he saw us. Scrawny and I sniffed the ground and approached cautiously. You may speak to me telepathically so that all can participate. The horse tossed his head in Scrawny’s and my direction. I am Mathias, friend to Seth. Kane’s insatiable curiosity got the better of him. Your breed carried knights into battle, didn't it? What is your origin? Mathias stomped his right foot. I am Friesian. I am guardian for Seth. I told you, I am his friend. He is in trouble. He needs you now. Kane pressed for more information. What has happened? Mathias flung his head irritated by Kane’s questions. In helping you with the aspecting ritual to connect with Hades to locate where Hecate had taken the vampire dog, Seth is in trouble with the other white witches in his coven. They strictly forbid the use of dark magic, and Seth has broken that rule. They threaten to take Seth’s abilities from him. They are passing judgment on Seth at his home now. Follow me. “Yes!” Several voices added their agreement. Kane waited no longer. He pushed open the door and made his presence known in the sitting room of the cottage. Scrawny followed, but I could not cross the threshold since I had never been invited in before. I stood outside and waited. Kane and Scrawny found themselves in the midst of a large circle of some twenty witches of all ages – young, old and in-between. In the circle with them stood a tall blonde man with the most angelic face I had ever seen. The word good sprang to mind when I looked into his pure pale blue eyes. Dressed in a white shirt, slacks and shoes, his fair hair spread out around his wide shoulders. “Ah, Kane, this isn’t a good time,” Seth said. But before the beautiful man could finish, the tallest of the witches took one look at Kane and shrieked. “Demon! Vampire!” With a wave of her hand, she threw Kane and Scrawny against the wall next to the fireplace. What do you think will happen next? Can you weave the plot from Season 3 into this? Do characters spring from the lives of authors? In my case, yes. When I started writing Snow Blood Book 4, for my Snow Blood Series, I drew upon my love of horses and specifically the Friesian breed. When I began outlining the plot for Book 4, a new character presented himself. My brain was filled with him, so I thought I would take you inside my writer's mind as his character unfolded. He came to me by way of my son-in-law who posted him on my personal Facebook page. So, thank you, Donald. After seeing his picture and its significance, I wanted to share my journey with him so far. It wasn't a coincidence, you see. Most of you know I own, ride and compete with my Friesian Okido I.T.. 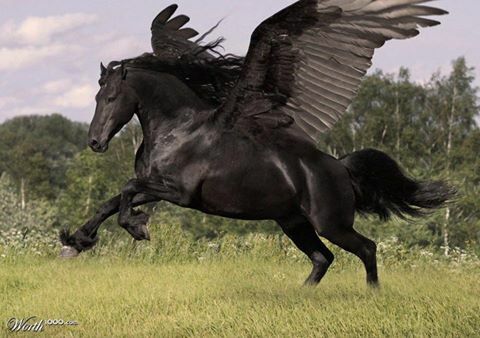 The horse in the photo above is a Friesian, a winged one at that. At first, I thought he should be named after my own horse. But he quickly corrected me and shared that his name was Mathias. Some of you are probably shaking your heads right now and calling me crazy. Probably. But I firmly believe in a hypothesis that William Faulkner set forth about his own writing. He said, "It begins with a character, usually, and once he stands up on his feet and begins to move, all I can do is trot along behind him with paper and pencil trying to keep up long enough to put down what he says and does." So it has been with all my characters - from Luke to Snow Blood, Ashlundt and Sara to Brogio and Selene or Tim and Corky to Kane and Scrawny.They take on a life of their own. Because I introduced a new character in Snow Blood Season 3 called Seth, it only seems fitting that Mathias join Seth in Season 4. What you won't know in Season 3 is that Seth is much more than he appears to be. Once his true nature is revealed in Season 4, Mathias will become Seth's natural companion. Or, at least, that is what Mathias revealed to me in the beginning. He's a winged horse, like Pegasus, but unlike the mythological horse, Mathias' nature and origin will be unclear at first. As the story progresses, readers will come to know much about him. He is a teacher, like all horses. He is a companion and adviser, like horses. He is dedicated and willing to work hard. You don't think so? My horses have taught me patience, persistence, strength and how and when to use it. They've taught me to live in the moment, to seize the day, and to be demanding when necessary always followed by kindness. They have further developed my sense of responsibility. Mathias will show us all how to be more honest with our friends. I know that I can never fake it with my own horse. He always knows what's going on with me. Oh, one more important thing. Horses have taught me how to be gentle and to move slowly around them so as not to startle them. A nice thing to do for people as well, don't you think? Mathias embodies all these teaching abilities and more. He certainly taught me how to wrap him into the storyline. I simply followed him around for awhile to get his entire story. So those are my thoughts this morning. You probably wouldn't want to live inside my head, because that kind of stuff is always going on! But, if you love to write, you'll probably get it all. If you love to read, you'll probably get it too. The lush woods swirled with mist that took on a green tinge. The mist thickened and the hair around my neck tingled. Out of the mist ahead, three blurred, smoky images of a single woman moved in unison. The images simultaneously cast out their arms, as if inciting a spell. I turned to Nova, who appeared frozen in time. I moved like a sleepwalker in a dream to her side, touching her face with my nose. She felt like stone! I turned and snarled at the images, but the heavy weight of the mist held me back. The three forms moved slowly toward me. Once in front of me, they solidified into one woman. She wore a black sleeveless gown that seemed to ripple as if the cloth was ink spilling off her and black robes with ornate silver designs. The designs were just like the runes or alchemy symbols Kane had once showed me in one of his books. Her black hair was pulled into an Ancient Greek-style, high-set ponytail. She carried two old-fashioned reed torches, and a polecat. She put down the black-footed, ferret-like creature, and it weaved in and out of her flowing robes and hissed continuously at us. A deathly pale marred the woman’s beauty. Her presence engulfed the woods around us with a strong condensation of the mist. A green aura shimmered, surrounding her. I could feel magic swirling around me. I glanced at Nova and whined in fear. The object of my desire had been turned to stone. I bared my fangs, saliva dripping from them, and lunged at this mythical sorceress. But nothing happened. My body couldn’t move. I felt blocked, almost paralyzed when I tried to step forward. “Do not fear, Snow Blood. I only wanted to meet you.” Her voice was deep and raspy. The green mist swirled up and down her body, and her dark black eyes shone like coal in her pale face. I looked back to Nova and whined. I turned to the woman, not knowing her motive, and sniffed the air around her. She smelled like cold, death and moist earth. Her sweet words disarmed me. I shook my head, trying to clear it of her voice seeping in and out of my mind, like the mist surrounding her. I knew that she had to be like the gods—charming, deceitful, greedy and evil. So, you are Hecate? SNOW BLOOD! WHERE ARE YOU? Brogio’s voice pushed Hecate’s thoughts from my mind. Backing away, I again shook my head, trying to knock her voice from it. As I retreated, finally able to move, Hecate glowed even brighter and dissolved slowly in the mist. “Remember… tomorrow night… your future awaits you.” Her voice and the smell of sulfur faded away gradually with her image. It left an uncomfortable ringing in my ears. I stared at the empty space she had left and shook off the remnants of her spell from my coat. If you’d like to read more of this third book in the Snow Blood Vampire Mystery Thriller Series, go here. Haven’t started the series, then click here. I turned, and he stared down into my eyes. I felt drawn into his dark brown orbs that smoldered and shifted to blood red. I hadn’t heard his footfalls or the crunch of snow behind me. His presence both startled and overwhelmed me. I moved back two steps to take in the sheer beauty and strength of Kane da Medici, the first blood son of Brogio, the original vampire. His six-foot-five frame towered over my small stature. Dark brown hair fell around his broad shoulders. He wore black slacks, a white silk shirt open at the collar, and a black brocade jacket. A black belt and boots finished off his stylish appearance. His love of beautiful clothes was obvious on this night he had agreed to meet me in the woods outside his Tuscany wine estate. You think I’m crazy to meet a timeless vampire in the woods at night? Nothing could be farther from the truth. First, he would never purposely hurt a human being. I know. I wrote him that way. Second, he wanted to meet his creator face to face. He laughed and shrugged. He bowed and pointed to a fallen tree where we might sit together. He tried to hide the boyish charm that I had built into him. I had no idea just how charming he had become over the years and the nine books I’d written about him. I placed my hand on his arm, and he turned to me. I smiled and turned to him. “And, it is my hope that those who read your stories will learn how to love unconditionally as you have.” I turned to go. He hugged me back, sighed, turned, and disappeared through the trees. Read the adventures of the first blood son series. Catch up with Moon Blood Books 1-4 and look for Book 5 sometime in 2019. Want to start at the beginning with the Snow Blood Series? Why not. So, like me, you love vampire stories. We’re obsessed with these evil mythological beings who have as many different characteristics as there are legends. Mainly, they drink human blood by draining their victims with their sharp fangs, killing them, and turning them into kindred. Other characteristics include: avoidance of sunlight which can weaken and destroy them; the ability to morph into a bat or wolf; super strength and speed; and the ability to have a hypnotic effect on their victims. Mirrors don’t reflect them, and they cast no shadow. Have you ever wondered how these remarkable creatures came to be? When I began writing my first vampire series, Snow Blood, I asked myself that question and ultimately began the research into vampire myths. Most people think vampire myths all began with Count Dracula, the blood sucking villain in Bram Stoker’s Dracula, published in 1897. My research uncovered that the mythological history of vamps began long before. I thought you might enjoy what I discovered. ​In this myth, Ambrogio and Selena experience love at first sight when the young man visits the legendary Oracle of Delphi in the temple of Apollo, the sun god. Ambrogio asks her to marry him, not knowing the jealous Apollo wants Selena for his own. Apollo curses Ambrogio by causing his skin to burn whenever it’s exposed to sunlight. Desperate, Ambrogio turns to Hades, the god of the underworld, and then Artemis, the goddess of the hunt, for help. 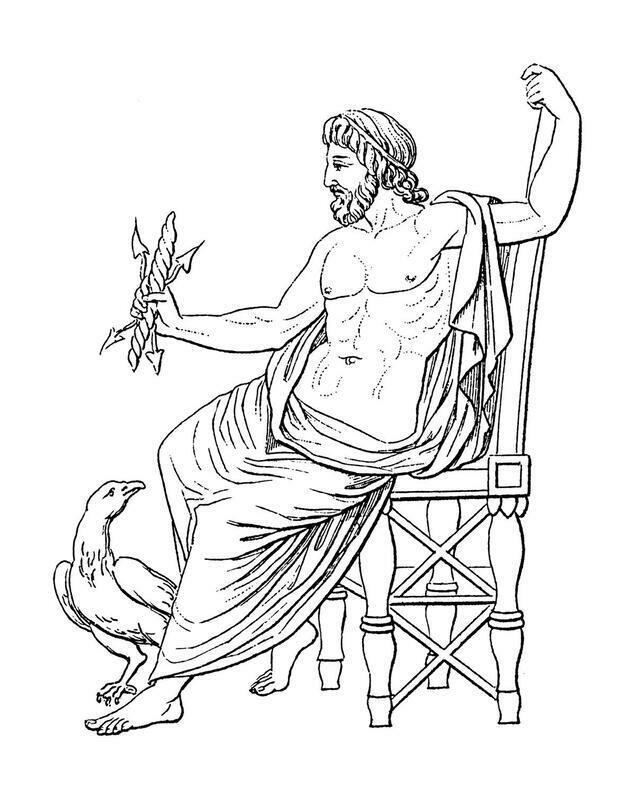 After stealing Artemis’s silver bow to fulfill a deal made with Hades, Artemis curses Ambrogio so silver will burn his skin. She later takes pity on him, though, and gives him super strength, immortality, and fangs to kill beasts to use their blood to write love poems to Selena. Finally, Selena, still mortal, escapes Apollo and reunites with immortal Ambrogio. Artemis tells Ambrogio he can make the woman he loves immortal by drinking her blood, thus killing her body but making her spirit live on. The mingling of their blood turns anyone who drinks it into a vampire. 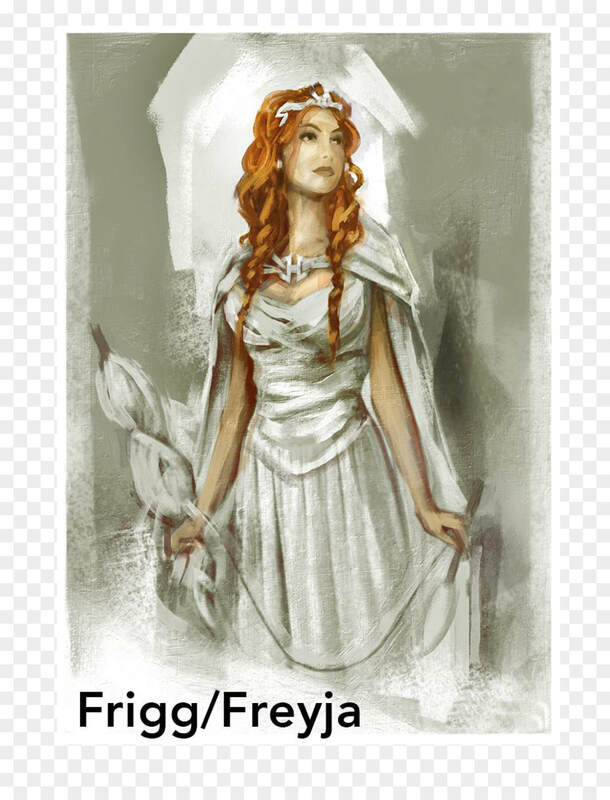 Of course, I adore this myth and adapted it to Brogio and Selene in my Snow Blood Series! 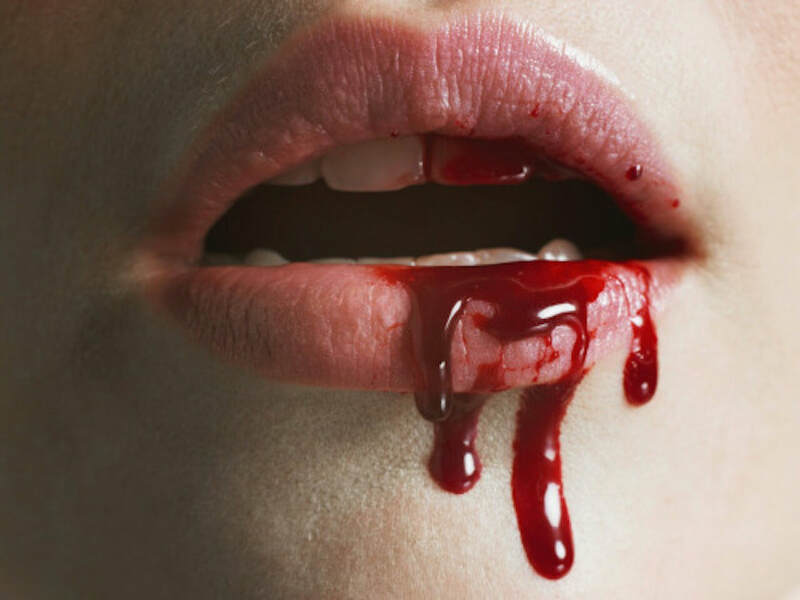 Vampire superstition became prevalent in the Middle Ages, particularly with the plague raining death to its victims who were left with bleeding mouth lesions. To the uneducated masses, this was a sign of vampirism. When mass graves were re-opened during epidemics to deposit fresh corpses, grave diggers often encountered older, bloated bodies with blood seeping out of their mouths. These are conditions that scientists now know result from the buildup of gases in decomposing organs. At that time, though, this was regarded as a sign that corpses were drinking the blood of others. ​When suspected vampires died, their bodies were most likely disinterred to search for signs of vampirism. It was at this time that a stake was thrust through the corpse’s body to make sure the victims stayed dead. Placing a brick in the corpse’s mouth was also used to starve the undead and deter the corpse from feeding further. Decapitation and burning of these suspected vampires’ corpses were practiced into the nineteenth century. ​Many believe that the stories of Vlad Dracula, known as Vlad the Impaler, inspired Bram Stoker’s Dracula. Vlad Dracula was born in Transylvania, Romania and ruled Walachia, Romania from 1456-1462. This cruel ruler fought off the Ottoman Empire and earned his nickname because his favorite way to kill his enemies was to impale them on a wooden stake. According to myth about him, he dined in the middle of his dying victims and dipped his bread in their blood. It certainly makes sense that Count Dracula, also from Transylvania, murdered his victims by draining their blood. And, of course, he could be killed by impaling his heart with a stake. Experts have denied that Stoker based his novel on Vlad Dracula, but the similarities have always been of interest. A real person is the source of a vampire myth. Mercy Brown lived in Exeter, Rhode Island and was the daughter of George Brown, a farmer. George Brown’s community used his daughter, Mercy, as the explanation for multiple deaths in her family in the late 1800s. Mercy, and many of her family members died of tuberculosis. It was common practice in that era to blame multiple deaths in one family on the undead. 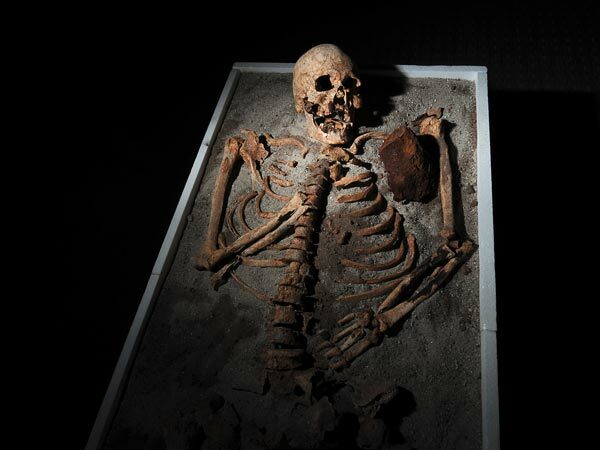 These bodies were often exhumed and searched for signs of vampirism. 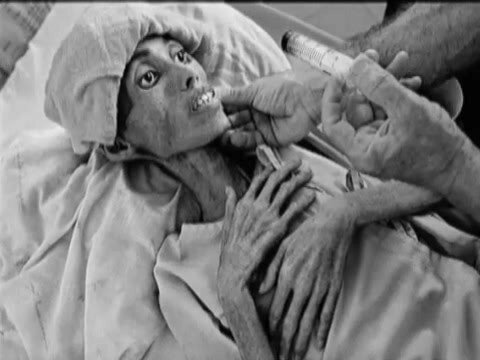 ​Mercy’s body was exhumed and didn’t show severe decay. The townspeople accused her of being a vampire and making her family sick from her grave. They didn’t consider that her body was entombed in an above-ground vault during a New England winter. So, they cut out her heart, burned it, and fed the ashes to her sick brother. Of course, he died a short time after. People who call themselves vampires exist today. These people appear normal but drink small amounts of blood in an exercise to stay healthy. To avoid perpetuating vampire superstitions, these modern vampires keep to themselves and conduct their feeding rituals in private. These rituals involve drinking the blood of willing donors. Communities of these self-proclaimed vampires can be found on the Internet and around the world. Some claim not to drink human blood but avow they feed off the energy of others. Thus, the term “energy vampires”? These individuals claim they become agitated if they don’t feed regularly. Other myths persist, and I could go on. But this read might be overly long. If you want to read a little more, here’s a lengthy article about Polish Vampires. For now, let’s just say that I’ve always been a huge fan of Greek Mythology, and, to me, the story of Ambrogio and Selena was intriguing enough for me to put forth my story of the original vampire. Hope you’ll read it sometime! Brogio: I am Brogio, the first, the original vampire. I was cursed by the gods, Apollo, Artemis and Hades, in particular. All because I fell in love with Selene. You see, I was an Italian adventurer thousands of years ago. I traveled to the Oracle of Delphi to get my fortune read and fell in love with a handmaiden in Apollo’s Temple. It was love at first sight for both of us. I had no idea that Apollo had coveted this virgin for himself. When he discovered we planned to return to Italy and be married, he cursed me by taking daylight away from me. I could only go out at night. I left Selene notes written with the blood of a swan I killed. Selene was afraid to anger Apollo further and kept working at his Temple. This went on for 44 days – love letters written in blood left for Selene at night. Then I begged Artemis, Apollo’s sister goddess, and Hades for help. But I angered them, and Artemis cursed me by causing silver to burn my skin and make me suffer. And Hades took my soul. 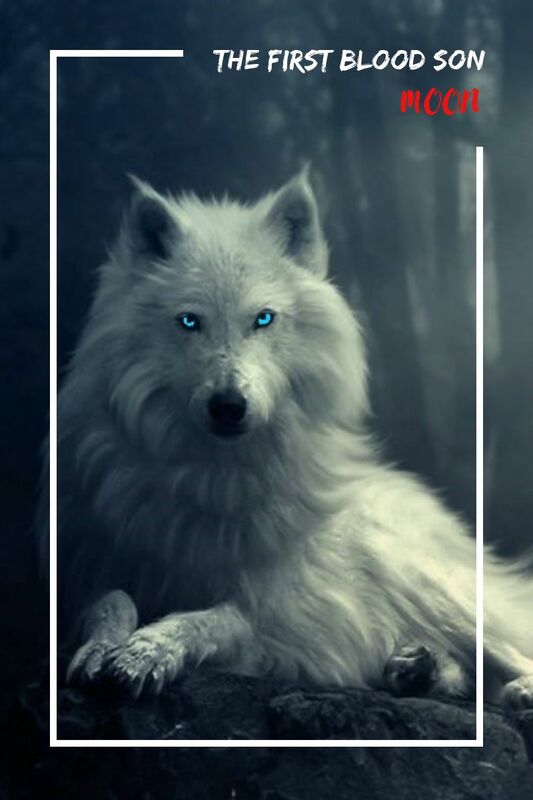 I begged Artemis’ forgiveness and pledged allegiance to her, and she took pity by turning me into a great hunter, almost as great as she, with the speed and strength of a god and fangs with which to drain the blood of beasts so I could use their blood to write letters to Selene. In exchange for this immortality, I had to agree that Selene and I would escape Apollo’s temple and worship only her forever. We managed to escape on a ship. Selene transported me in a coffin that she could only open after sunset. Artemis let us be together as man and wife, but a virgin goddess expects her followers to be chaste. Years passed, and I stayed young, but Selene aged as a mortal. When she fell ill and was dying, I knew I couldn’t join her in the afterlife because my soul was in hell. I made offerings to Artemis, begging her to make Selene immortal so we could be together forever. She allowed me to touch Selene just once, to drink her blood. This killed her mortal body, but our blood mixed together would create eternal life for any who drank it. Artemis said we would stay together forever. But she lied. 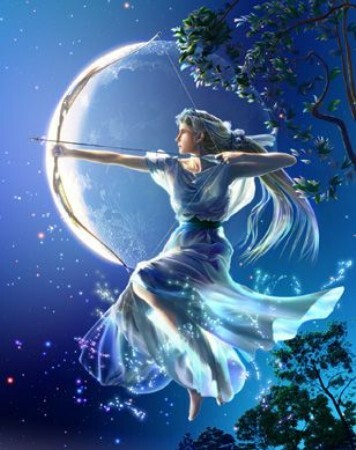 Artemis took Selene from me to become a goddess of the moon and left me alone. I have spent thousands of years creating others like myself to end my loneliness, but nothing has helped. My worst quality: I have a temper, and I am very controlling. My best quality: my capacity to love Selene and my progeny. I wish others could understand that I held back from creating other vampires for a very long time until my best friend, Kane, begged me to make him immortal. I was only driven by my loneliness and need to be with others like myself. Only Kane, Selene, Snow Blood and the gods know my real story. And now, you do. Selene as my consummated wife. I have always been and will always be married to Selene. I only wear black. Black pants, shoes, socks and turtleneck sweaters. Everything I own is black. My hair is blonde, so I wear it mostly long. 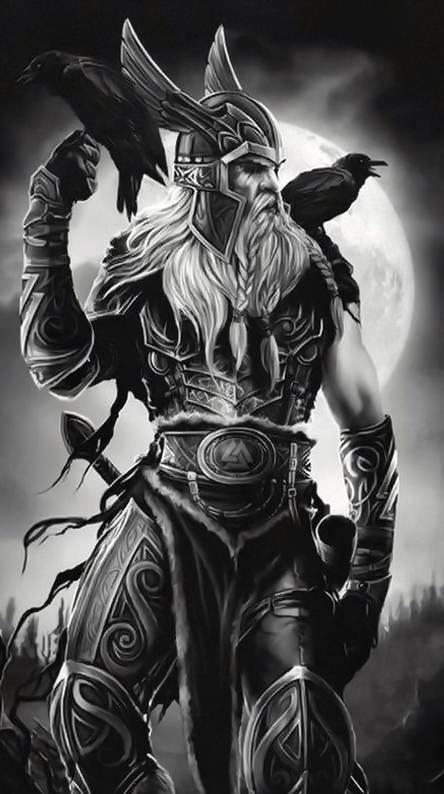 I have been defying the gods for thousands of years, so I’m willing to bet I am more rebellious than most. Surviving for so long under impossible circumstances. Selene, Snow Blood and Kane by my side. I will be a tortured monster until I can finally have Selene back with me. I have many possessions. I am wealthy beyond belief. Having thousands of years to build a wine empire all over the world has left me quite comfortable. I no longer possess what I treasure most – Selene. 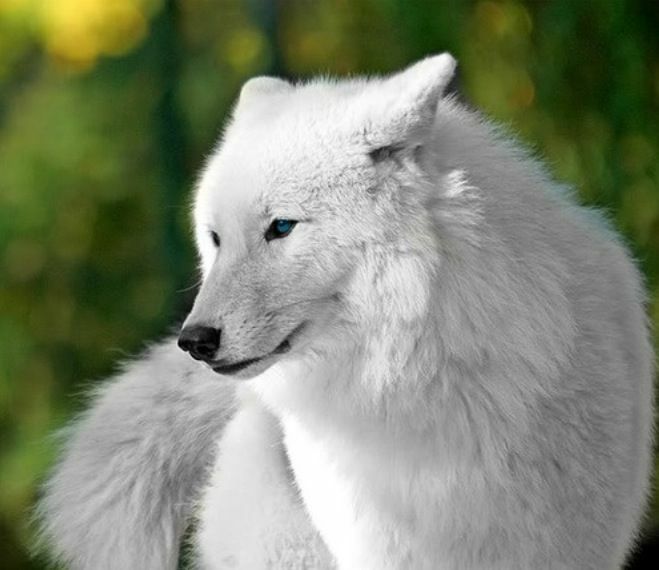 I am comforted by my kindred companion and dog, Snow Blood. I am the original. I am the most powerful of all vampires. 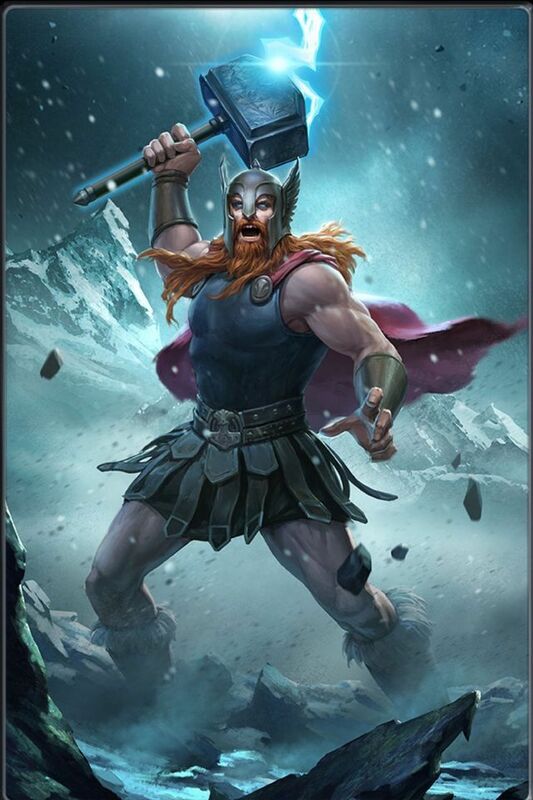 Only I can defy the gods. Most living people are food to me, despite that I try never to harm them unless I must. I do not despise them. I love them. Losing Selene and having to turn Snow to save him as my companion. Healthy blood. (Laughing.) I admire strength; no matter in what form it comes. Bravery. Selene is the bravest woman I’ve ever met. Well, I’ve been fictionalized in books, movies and television. They mostly have gotten it wrong, never giving the true back story. But it amuses me, particularly Dracula. So, I am my favorite hero, or, at least Dracula comes in as an interesting second. My Selene. Have you figured out that Selene is everything to me? Laughing … why, I’d become mortal, with a soul. Carpe diem. Cease the day (or the night in my case) because tomorrow may never come. Eclipse Reviews thanks Brogio for this interview. Interested in learning more about Snow Blood? ​Click here. 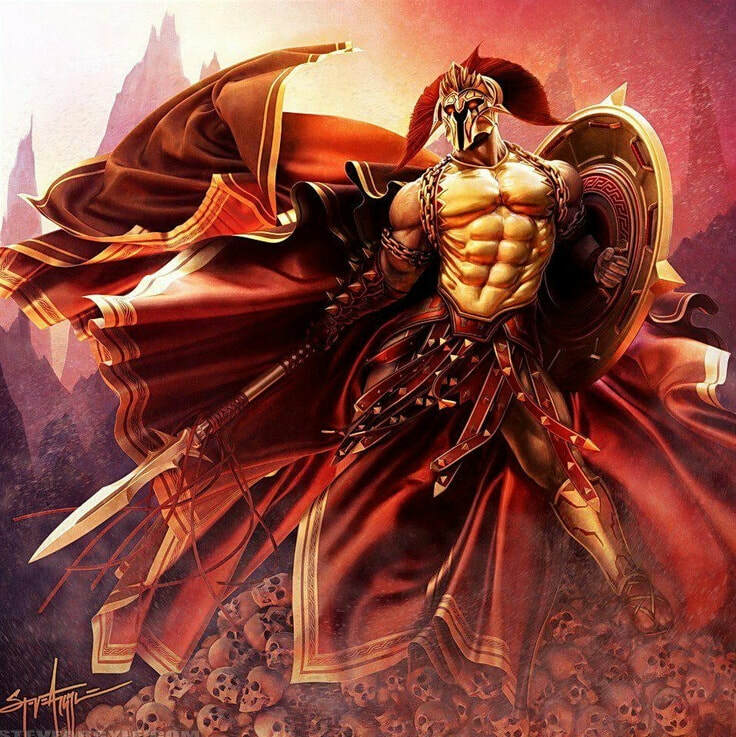 Kane clinched his fists as he looked up into his sire’s violet eyes that shifted to blood red. ​Brogio snorted and whirled to face the gigantic stone fireplace that he kept ablaze no matter what the weather. “So, we are at odds. I want your companionship and loyalty. You want separation.” The original vampire ran his large hands through his silver white hair that framed the youthful face of a man only twenty-three years of age. Kane swallowed and looked into Brogio’s eyes. He knew his words delivered a cruel cut to his maker. A black blood tear slid down Brogio’s white cheek. He dropped his hand from Kane’s throat and turned. “You break my heart. You always have.” The master vampire glided to the front door, opened it, and disappeared into the night. Kane turned back to the fire. In his heart he knew the knowledge he would gain in the future would someday be useful to his sire. He would somehow prove his love and loyalty. ​WANT TO SEE HOW KANE’S KNOWLEDGE AFFECTS BROGIO? CLICK HERE TO START THE SNOW BLOOD SERIES. HAVEN’T CLAIMED OR READ YOUR FREE BOOK – KANE: THE FIRST BLOOD SON? GO HERE! Snow Blood slipped out from behind a cluster of frozen red spruces. The snow crunched under his feather-like, husky paws. The moonlight made his white, shaggy coat appear silver as he padded toward me. I felt lucky that he had agreed for me to interview him. I guess he felt some sense of obligation for my bringing him to life on the pages of the series of books I had written with him as the narrator and ultimate hero. I shivered a bit in the Canadian cold, which I knew had no effect on him. I glanced around expecting to see his mate, Nova, lurking nearby. She’s otherwise occupied hunting prey. His words slithered through my mind and took me by surprise. I had momentarily overlooked that he could read my mind, and anyone’s thoughts. I sat on a nearby stump so that I could be eye-level with his beautiful blue eyes that looked like a makeup artist had drawn black eyeliner around his lids. He moved closer and sniffed the air around us. You are curious about my perspective on my adventures with my sire Brogio, are you not? “I am obsessed with any and all things about you.” A pathetic answer but true enough. He padded closer and sat next to me. Ask away then. “After Brogio turned you to save your life, were you angry about your plight as a vampire?” I leaned closer as if I might miss his words. More confused and sad than angry. I didn’t understand at first. I wanted to go home to Tommy and his parents. I couldn’t have known then the love, friendship, and loyalty that I have now with my kindred family. People think that vampires are pure evil. 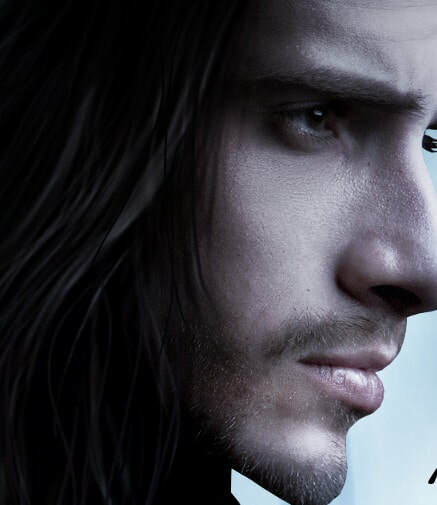 Yet, the very first vampire, my sire Brogio, has taught all his children to do no harm unless protecting themselves. He taught us to live off the creatures of the forest and to stay out of the way of humans. Before I could ask another question, the great white husky bolted to his feet. His panicked thoughts prickled my brain. Nova! She’s under attack. And, with his vampire speed, he was gone. I summoned my imagination, just as I do when I’m writing, and ran after him at a speed I didn’t realize I had in me. I skidded to a stop to see Snow Blood and Nova surrounded by four werewolves – one black, another gray, another multi-colored, and the last a reddish brown. I wiped my eyes hoping they were part of Snow Blood’s coven. Unfortunately, they weren’t. The shifters, saliva dripping from their extended fangs, circled the two mates. Their eyes glowed blood red. The brown shifter reached out with sharp claws to take a swipe at Snow Blood only to have the wolf vampire bite off half its paw. It screamed in agony and began to foam at the mouth and go into seizure. It died before hitting the ground. The other three backed away snarling but afraid. Snow Blood made his thoughts heard to all. If you want to die from my venom, try me. If you don’t, leave now or I will eviscerate all of you. The three turned and ran. The vampire dog whirled and sniffed his mate who licked his face with her rough tongue. Nova stepped back and shook her heavy black, grey, and white coat. Her beautiful blue eyes cast a curious glance at me and then turned back to her mate. Go home to safety now, my love. I will be there soon. Rather than being obedient, Nova grew tall. I could have handled them, you know! Why did you interfere? Because you are precious to me, and I wouldn’t want to be without you. I take no chances where those I love are concerned. Nova shook her head, turned, and ran toward Brogio’s wine estate. Turning back to me, Snow Blood snorted and trotted over to me. Shall we continue the interview? I rubbed his head, and he closed his eyes enjoying my long acrylic nails scratching his ears. Snow Blood sat next to me. Much of it just comes from being kindred. As a vampire, I have superior strength and speed. And one of my gifts, as you know, is my deadly bite. It only takes being bitten once to die instantly. My family – Brogio, Selene, Kane, Nova, and my wolf coven - battle as a team. We all can shape shift into anything we want, so that helps as well. Let’s just say we have the team-court advantage with the gifts we all share. My family and our friends. Perhaps you would consider them not worthy of love and loyalty, but any one of us would die for the other. I place loyalty to them above all else. It is my dog nature. They in turn have learned what love and loyalty mean. The evil that plagues us will never kill that in any of us. We have all evolved into something that I know your readers can love. Snow Blood turned his head as if listening to something in the distance. I must go now, Carol. Brogio calls me. We are once again under attack. With that, he stood and gave me a last look. He licked my hand as if to say, thank you for giving life to us all. He opened his mouth in a wide grin, turned, and disappeared into the trees. I thought how lucky I am to have found this extraordinary creature in my imagination. 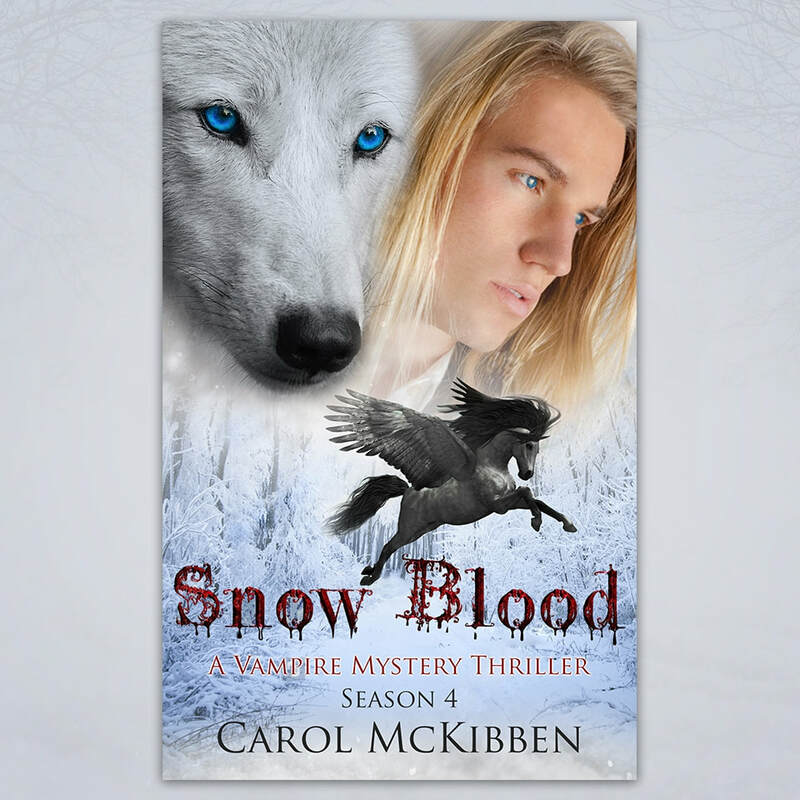 To witness the love, loyalty, struggles, battles, and challenges of Snow Blood and his kindred, click HERE to begin Snow Blood, Season 1 by Carol McKibben.